Today’s Camp Letterman segment covers the United States Sanitary Commission and the United States Christian Commission. 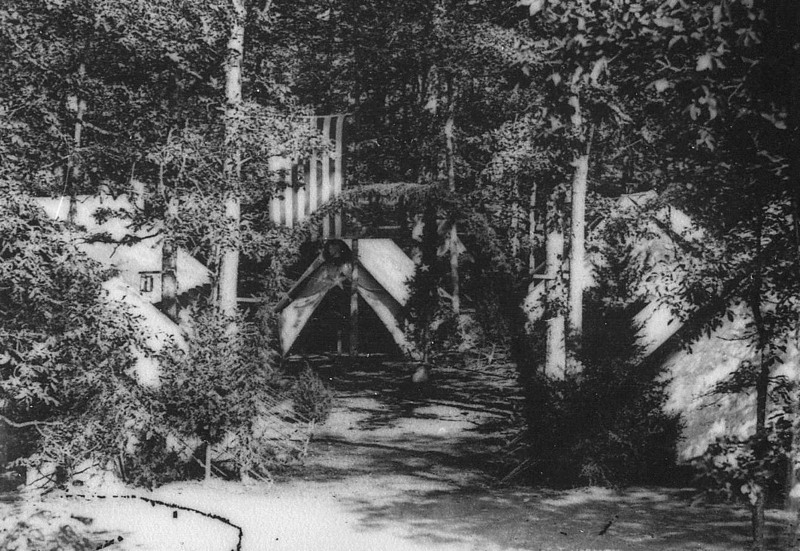 Here is a photograph taken of the Sanitary Commission area, probably during its final days late in the fall, as many of the leaves are off the trees. 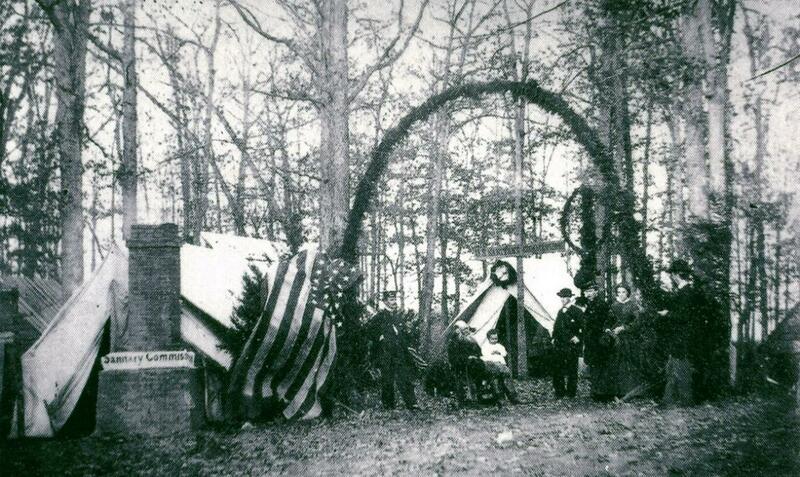 This view was taken in approximately October or November, 1863. 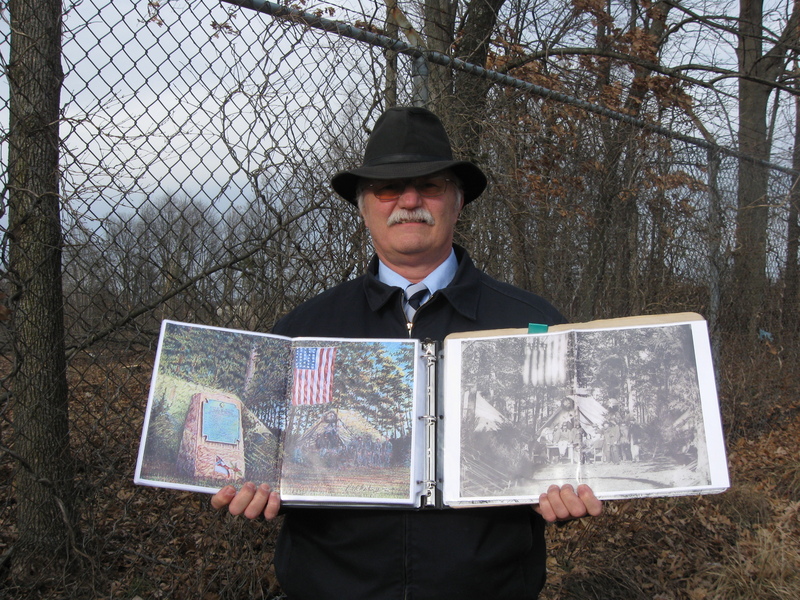 This is the fifth installment of Licensed Battlefield Guide Phil Lechak’s tour of Camp Letterman. 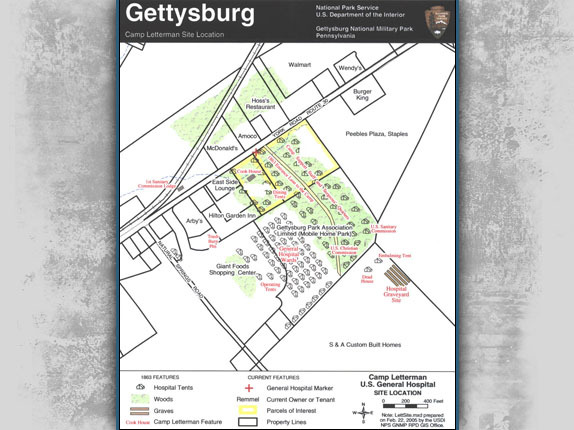 In our previous posts, we covered the general history of the site, the Operating Tent Area, the view from what Phil calls “Hospital Hill,” and the embalming tent. In our last post we viewed the location of the Camp Letterman Graveyard. In today’s presentation, Phil shows us the Camp Letterman locations for the United States Sanitary Commission, and the United States Christian Commission. 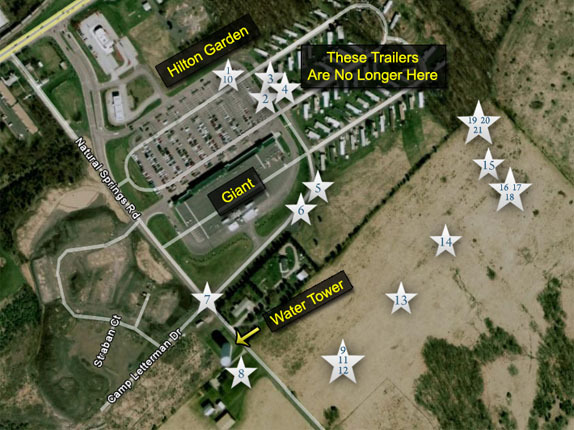 This is a view of the site with locations where we took the videos numbered inside a white star. The mobile homes are no longer in this location. Videos 1-18 may be seen in our previous posts on Camp Letterman. This map was created on January 31, 2009. Video #10 is at the same location as video #1. Videos 16-18 were taken at the same location. Today we will show videos 19-21 which were taken at the same location. 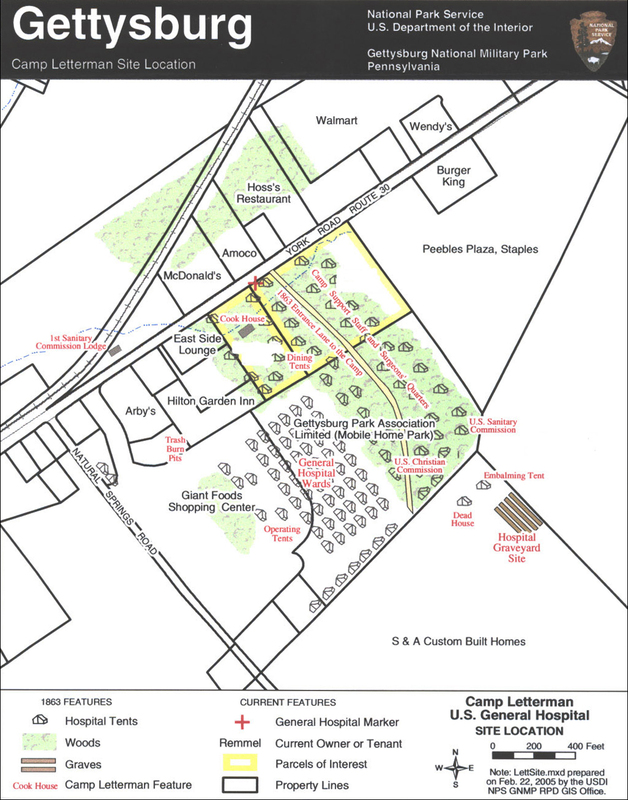 Here is a map of the Camp Letterman area in 1863. Today we are showing the sites for the United States Sanitary Commission and the United States Christian Commission located near the right center of the map. This map was created on February 22, 2005 by the United States Department of the Interior, and the National Park Service. Gettysburg Licensed Battlefield Guide Phil Lechak is pointing out the location of the three videos taken for today’s post. This view was taken looking northeast at approximately 2:00 PM on Sunday, January 25, 2009. In Video #19, Phil Lechak explains the landmarks in this location in relation to the map. This view was taken looking northeast to north to northwest at approximately 2:00 PM on Sunday, January 25, 2009. This is a photograph of the United States Sanitary Commission area. 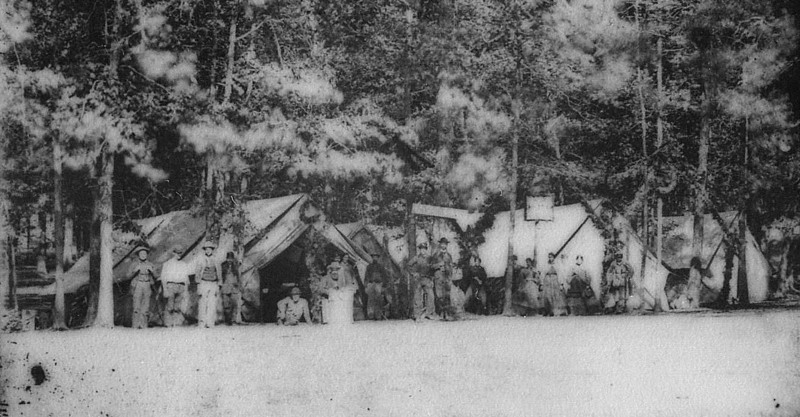 Sanitary Commission member Georgeanna M. Woolsey stated that, “after the men’s wounds were attended to, we went round giving them clean clothes; had basins and soap and towels, and followed these with socks, slippers, shirts, drawers, and those coveted dressing-gowns (wrappers). Such pride as they felt in them! comparing colors, and smiling all over as they lay in clean and comfortable rows ready for supper ‘on dress parade,’ they used to say.” This view was probably taken between August and November, 1863. Here is a view of the United States Christian Commission area at Camp Letterman. One Christian Commission delegate, James P. Ludlow, stated that the members went about their duties “with our haversacks loaded, with soldiers book, letter paper, pencils, envelopes, etc.., etc.., each delegate takes a tour of one row of tens, ascertaining what is needed, supplying it either from our haversacks or writing an order on our tent agent, which the tent nurse presents at our counter and is filled. 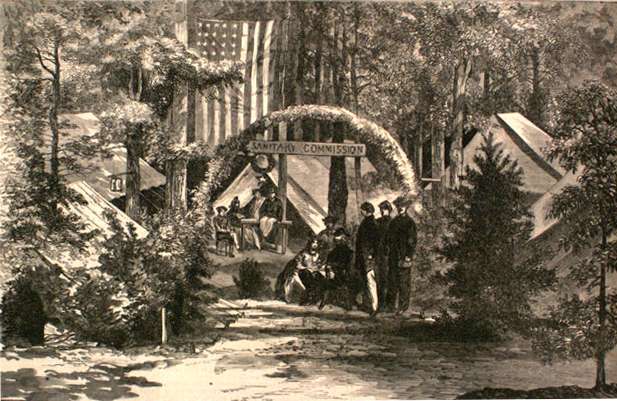 Three rows of tents are filled with rebels, who as a class, stand in the ratio of four professing Christians to one such Federal.” This view was probably taken between August and November, 1863. In Video #20, Phil explains that the Sanitary Commission was similar to today’s American Red Cross. The Christian Commission was similar to today’s Salvation Army. This view was taken facing northeast to north to northwest at approximately 2:00 PM on Sunday, January 25, 2009. Some of the heavy equipment used to clear off the Camp Letterman site. 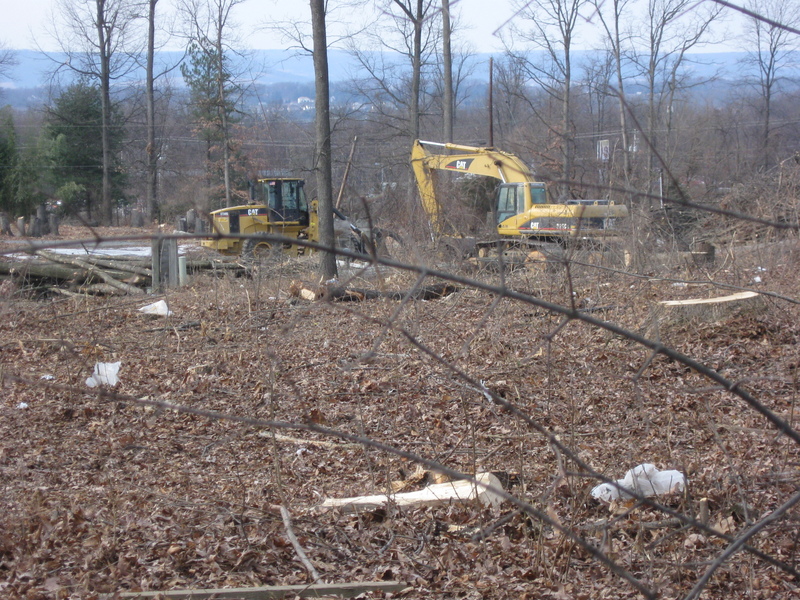 Many trees have been taken out of this area. This view was taken looking north at approximately 2:00 PM on Sunday, January 25, 2009. In Video #21, Phil Lechak shows one of his favorite Camp Letterman photographs and his favorite painting from Camp Letterman. This view was taken looking northeast at approximately 2:00 PM on Sunday, January 25, 2009. Here is a comparison of the photograph of the United States Sanitary Commission area that Phil showed us in Video #21 on the right. The Paul Martin painting is on the left. This view was taken looking northeast at approximately 2:00 PM on Sunday, January 25, 2009. 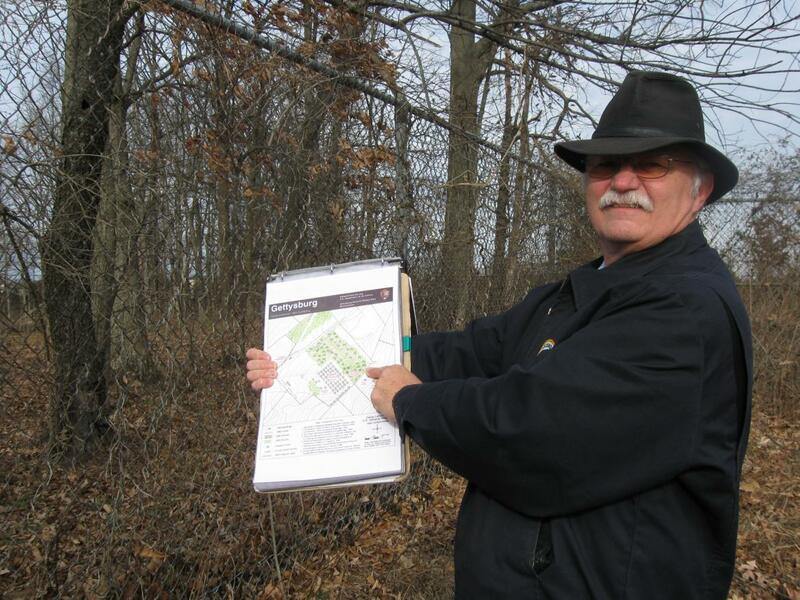 Here is the photograph of the United States Sanitary Commission area that Phil showed us in Video #21. 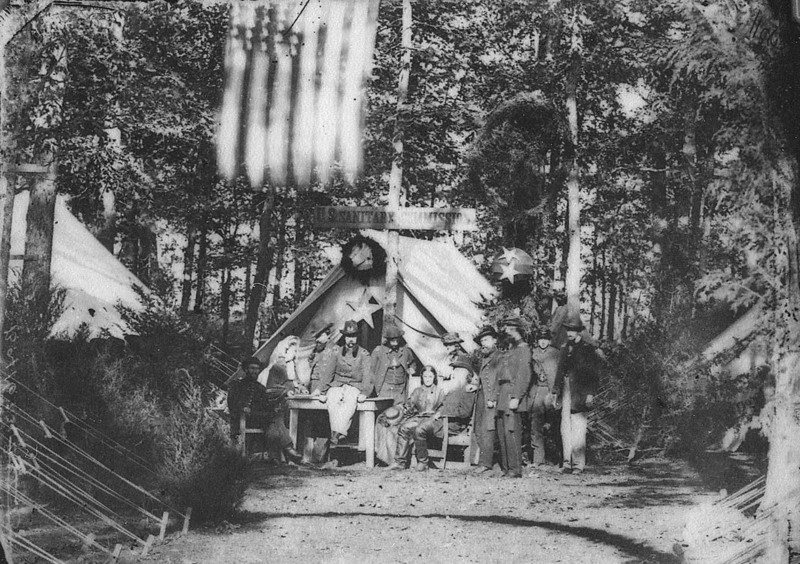 In this photograph Reverend Gordon Winslow, the Sanitary Inspector of the Army of the Potomac, is seated in front of the tent with a white beard. After the Battle of Gettysburg, Winslow was assigned the duty of inspecting and reporting on the condition of Confederate field hospitals in the Gettysburg area. He drowned on June 7, 1864 while accompanying his wounded son on a Sanitary Commission steamer to Alexandria, Virginia. Reverend Winslow fell overboard “while in the act of drawing a bucket of water from the side of the vessel while sailing up the Potomac.” This view was probably taken between August and November, 1863. Here is a Harpers Weekly drawing from the photograph that Phil showed in Video #21. 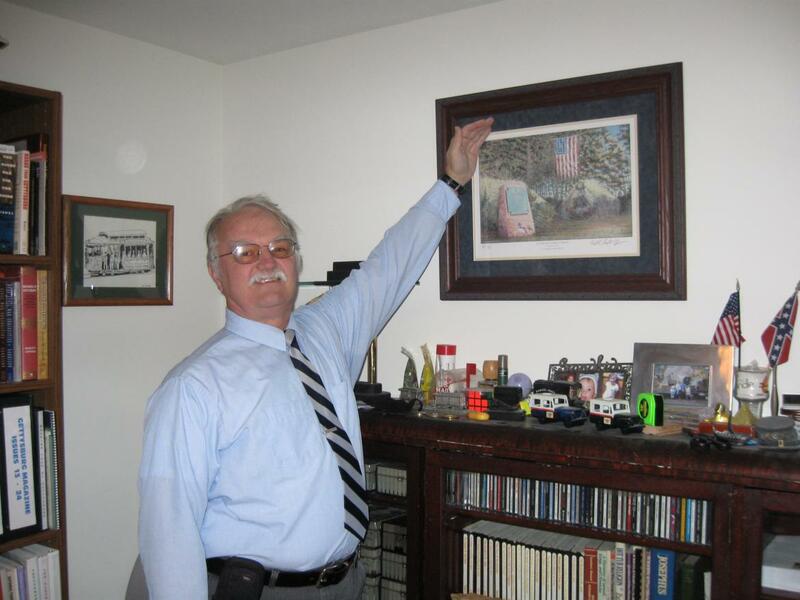 Phil, back in his office, with his displayed Paul Martin print of Camp Letterman. This view was taken looking northeast at approximately 2:00 PM on Sunday, January 25, 2009.